Almost every day is a wine day for us, so we are always ready for a wine day celebration. By that I mean a day specifically designated by an organization or individual on which to celebrate a specific varietal wine or just wine in general. These celebrations often involve special events and lots of sharing on social media with the appropriate hashtags. Here are links to two comprehensive lists of wine day celebrations in case you want to join the fun. Beginning in 2012 International Albariño Day has been celebrated in August. The annual celebration was established by TAPAS (Tempranillo Advocates Producers and Amigos Society) and has, wisely I think, been extended from one day to nearly a week. This year the International Albariño Days Celebration will take place on August 2 – 7 giving you six days to celebrate Albariño. These dates follow the Fiesta del Albariño celebration in Cambados, Spain, which is known as the Capital of Albariño. Cambados sits in the heart of Rias Baixas, the Spanish home of Albariño. The cool, coastal region on the Atlantic Ocean is part of Galicia, also known as Green Spain thanks to generous rainfall. The region does have enough sunshine to fully-ripen Albariño, which comprises over 96% of grape plantings in the region. D.O. 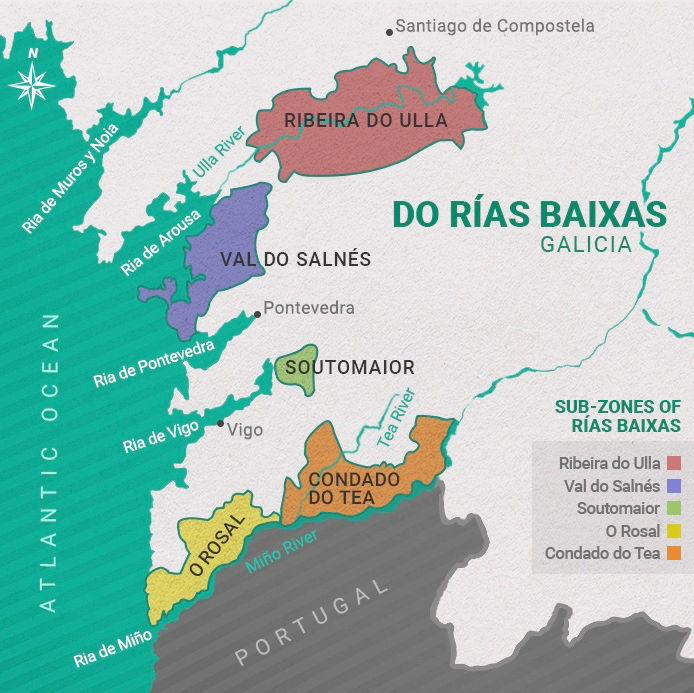 (Denomination of Origin) Rias Baixas is divided into five sub-zones based on climate and terroir differences. Across the border in Portugal, and just on the other side of the Minho River, this grape variety is known as Alvarinho. In this northernmost wine region of Portugal, known as Vinho Verde (pronounced veeng-yo vaird), Alvarinho is planted mainly along the southern banks of the Minho River in the sub-region of Monção e Melgaço. Vinho Verde, translates to green wine, which refers to its young age upon release – only 3 to 6 months after harvest. The warm days of summer are the perfect time to enjoy this bright, crisp, white wine. It delivers a range of flavors including citrus, white flowers, stone fruit and ripe melons; always with a nice backbone of acidity and often an interesting minerality. 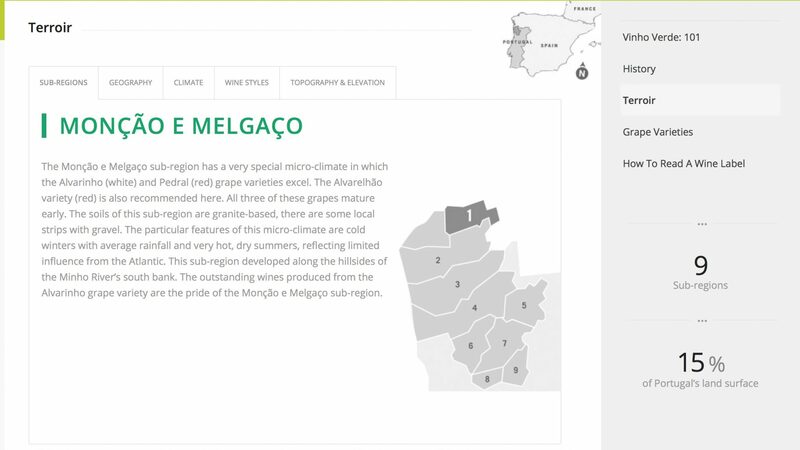 We recently tasted a group of Albariños from Rias Baixas during an online tasting hosted by Snooth, which was the perfect opportunity to gain an appreciation for the range of flavors Albariño is capable of offering in the region. Our experience with Vinho Verde is not as broad, but we did enjoy a memorable food pairing with a bottle of 2014 Soalheiro Alvarinho. 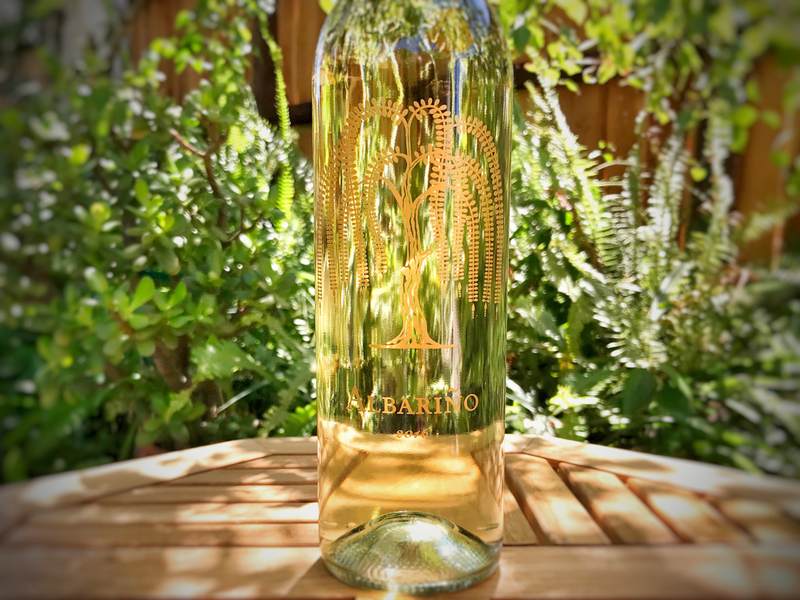 A number of California and Oregon wineries are participating in the International Albariño Days celebrations. Six wineries in the Lodi AVA are participating in a big way with their Lodi Tour of Albariño. 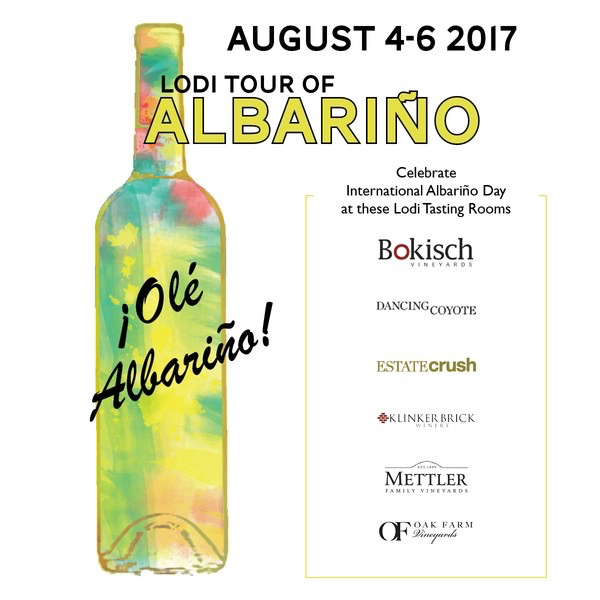 All six Lodi wineries will be featuring their Albariños; a great opportunity to get a sense of what Albariño grown in the Lodi AVA tastes like. We are ready to begin our celebration of International Albariño Days on August 2 with a 2016 Mettler Family Vineyards Albariño. Watch for our Twitter and Instagram posts on August 2, when we will share our impressions of the Mettler Albariño. This is our first taste of Albariño from Mettler Family Vineyards. I hope your celebration of International Albariño Days is delicious; I expect ours will be. Oh No, My Local Wine Shop Is Closing! Yes! Let’s celebrate Albarino wines. I’ve had some delicious Rias Baixas indeed. Did you know that some Albarino is also grown successfully in the South of France in Languedoc now. Cheers, Julien. Thanks for your comments and for the link! I certainly love Rias Baixas Albarino. Second to that probably Bokisch! Cheers.